Nowadays professional corporates are keen looking worthy designs on Coffee Shops and restaurant since people are more aware on intelligence in design layout everyone moving to top edge of the attractive core. Being a professional design,theme will attract more customer which is automatically becomes a conversion to your goals. Through a dedicated admin panel you can control the entire services of the websites and manage the banner ads, logos, customizing deign layouts, restaurant listings, food menu, commits chef layouts, contact page and description etc. 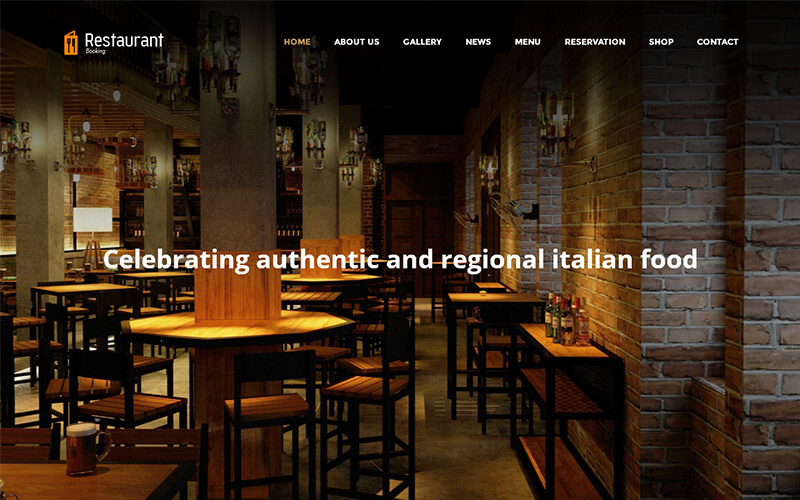 Make your Individual Restaurant Website Design Theme explore to the globe and convert your business brand name with our enthusiastic restaurant design, our gorgeous design script can be accommodating for versatile services like cafe and bistro design, pub, beach bar website etc. The viewing perception of the theme is different from everlasting with unique in design. Page layout can be adjusted to full length or off page or quarter into the web page based on the attractive feeding of the colorful images. Our Restaurant Design Theme is user friendly as well as search engine friendly, you need not put much effort for SEO concepts and we have designed with finger tips in accordance to the Google Standards. Major search engines are easily crawled our websites by default. On the other hand responsive design which makes the website accessible from all the devices and cross browsers with bootstrap framework. On over viewing our restaurant design, theme has unique features which supports all business module concepts with ready to install and make live on your websites at affordable prices. Dedicated admin board which controls the entire section of Coffee Shop/Cake Web Design Service theme features like image re-sizing by attractive menu providing and limitless color with sidebar layout etc. we have integrated many additional plugins to ensure quality of service in Google map integration, video compilation in the background with design change settings and able to create number of portfolios to attract the users. It is great pleasure to have the services script with thephpscriptsmall, solutionfromthe development teamis great obeisance. They are professional’s minders and communicate with clients very well. Did a great job on designing,no bugs, and very recommended. Very good theme for online restaurant owners, very effective and well framed admin controls with restaurant design templates.